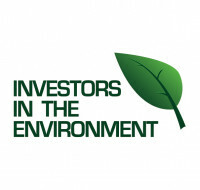 iiE is a national environmental accreditation scheme that is designed to help businesses save money, reduce their impact on the environment, and promote positive corporate social responsibility (CSR). iiE supports businesses of any size to make improvements through better environmental management to encourage responsible consumption, protect the natural environment, and give back to local communities. Advisors support business green champions with resources and advice to make significant improvements to their impacts, engage staff, and embed sustainability into everything they do. Membership also includes access to the iiE B2B Mentor scheme. Members who meet the accreditation criteria through audit achieve Bronze, Silver, or Green level, gaining a recognised stamp of excellence for their accomplishments. Forest Carbon is working in partnership with iiE to offer its members a certified means of mitigating their net CO2 emissions, via woodland creation here in the UK. As members join the scheme their investment will be recorded below in the dashboard, and projects where they have invested will be listed at the foot of the page. For more information visit the iiE website.